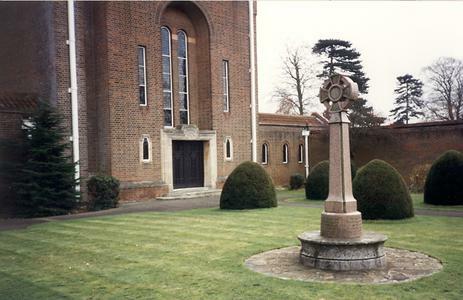 Celtic cross on circular plinth. 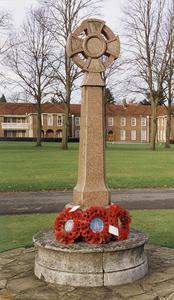 Memorial was cleaned and restored and the third inscription carved at the time it was moved. Stonemason: W Whitehead & Son, Melbourn Rd, Royston, Hertfordshire. Comments: Moving of memorial, restoration and carving third inscription cost £2086.70.